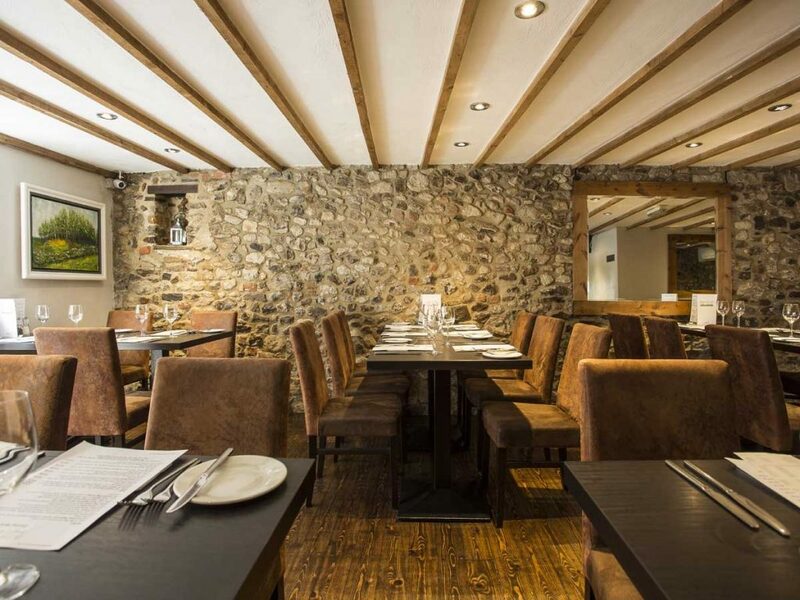 The Bath House is a friendly, family run restaurant, located in the beautiful town of Chard, Somerset. Centrally located, it is easy to locate and parking is available nearby. Over the years we have developed solid relationships with the best local suppliers to access the freshest and tastiest ingredients. 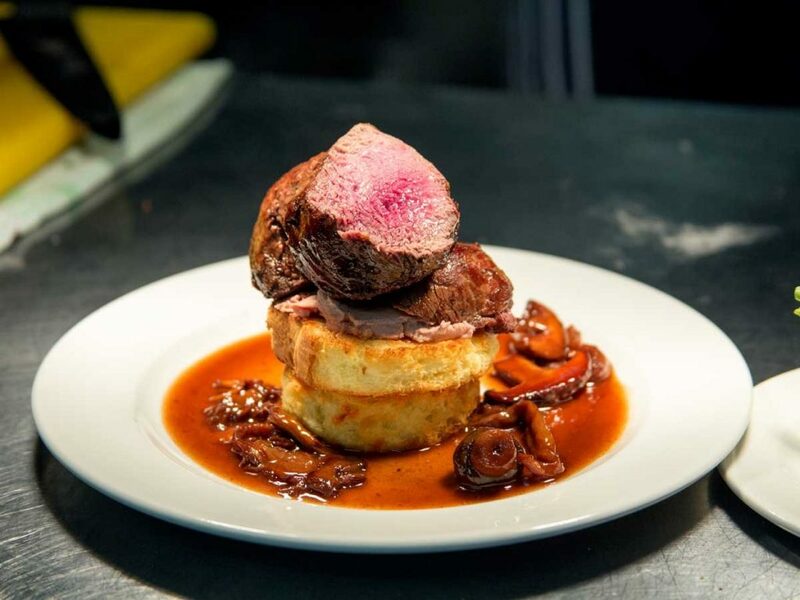 Our Chef has created a varied and exciting menu with something to suit all palettes. 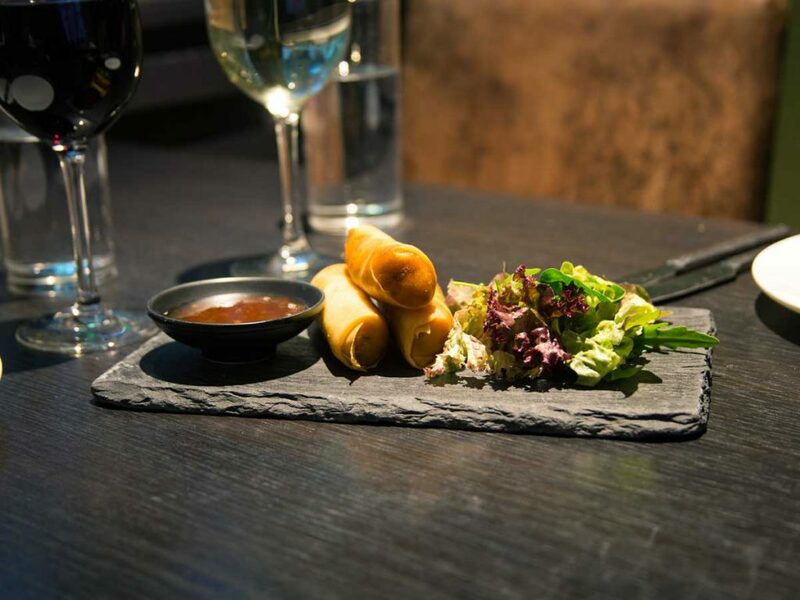 Classic British fare is available together with dishes which reflect Asian and European influences. All meals are freshly cooked to order on the premises and every effort is made to incorporate the best of the season into the menu. The Restaurant aims to offer diners one of the most enjoyable culinary experiences to be found anywhere in the West Country. Our team will do their very best to ensure that the food and service exceed your expectations. Seasonal, home-made soup is always a winner on a chilly day, but for a sun-drenched summer evening, tantalise your taste buds with warming Wasabi King Prawns or Wild Boar Pate with apple-brandy chutney. 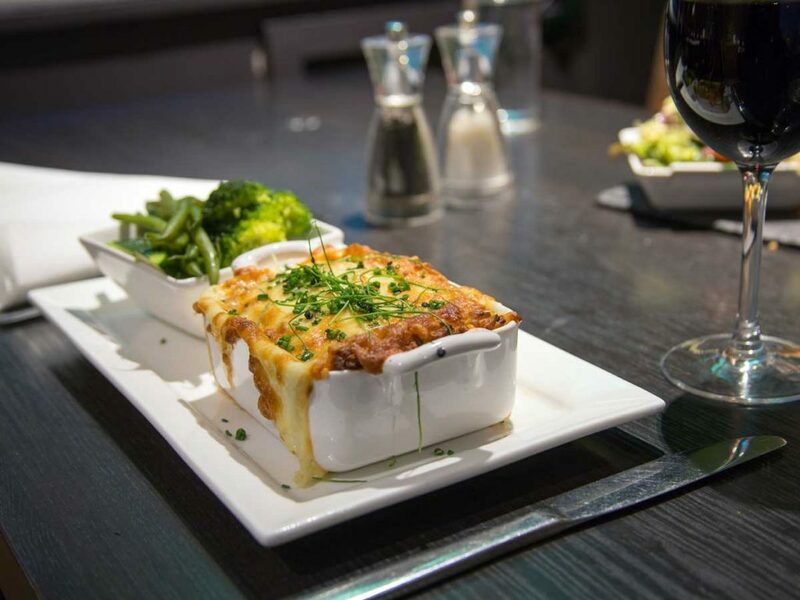 If you like spice, try the Rendang Beef Curry, or for something more mellow, the flavoursome Fish Pie. 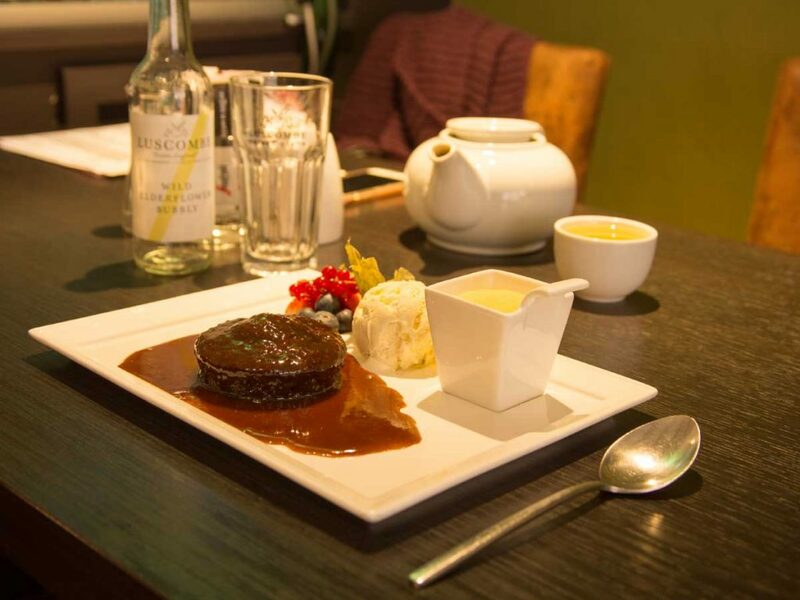 A good meal deserves a wickedly wonderful dessert, and Ron has created some delectable choices – the Baileys Panna Cotta Cream or Salted Caramel Brownie are perfect for a sweet treat. 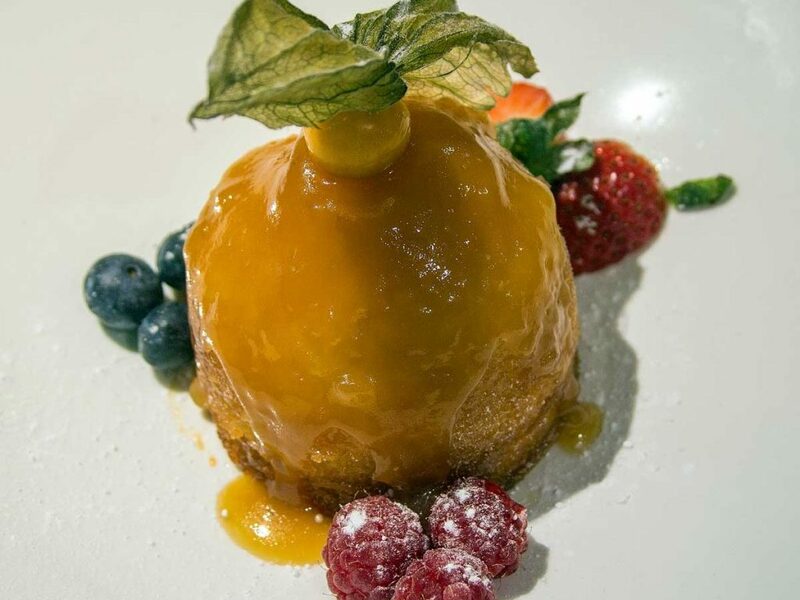 Movenpick ice-creams and sorbets can also compliment your pudding choice. Finally, our carefully chosen cheese board has a local focus, ideal for those who prefer a savoury finish. Whatever the occasion, your meal will be cooked to perfection. We hope that the Bath House Restaurant becomes one of your favourite places to visit! For a copy of our menu, see our menu page or contact us directly. 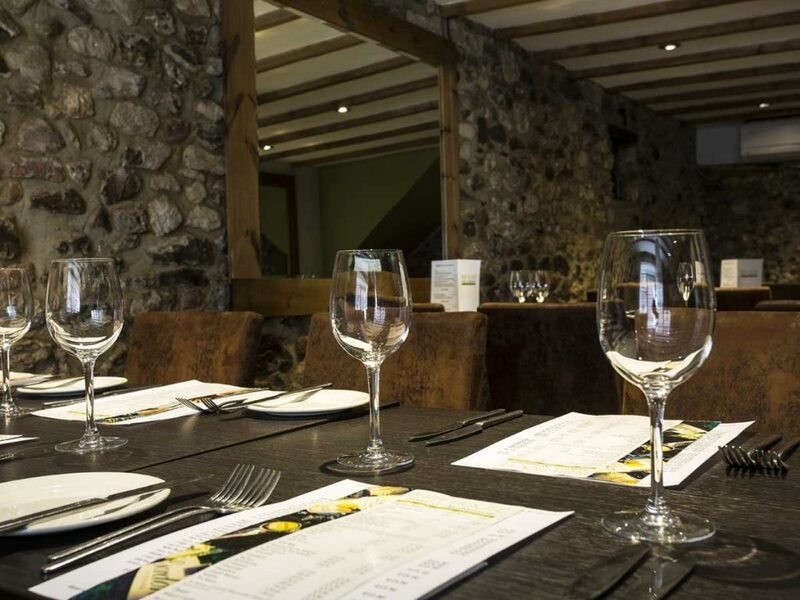 We will be happy to discuss any dietary requirements at the time of booking to ensure the success of your meal. Our wine list is regularly updated to compliment our developing menu, so choosing a wine to enhance your meal is easy. Our trusted wine supplier spends time and effort in locating independent, family run vineyards to purchase wines of great quality and value. For those who prefer a longer drink we have draught lager and cider together with a range of tasty bottled beers. We also offer spirits, liqueurs and non-alcoholic drinks. 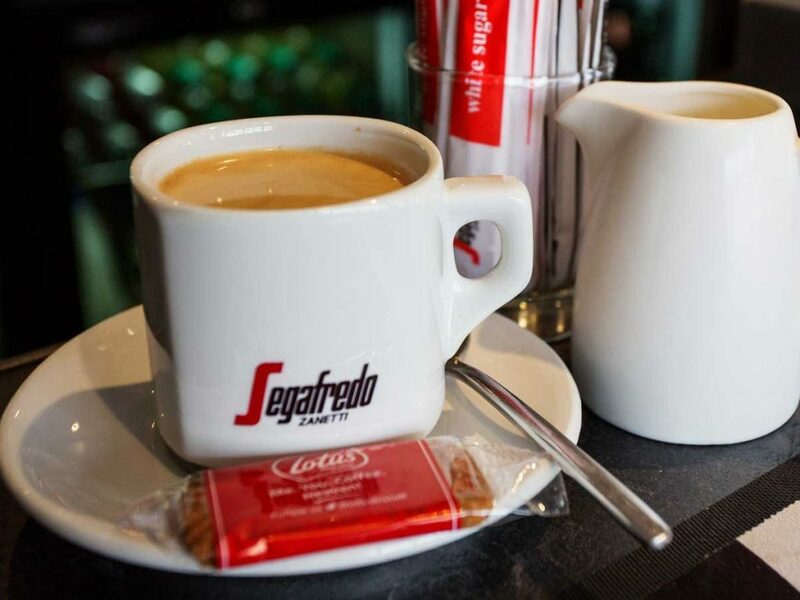 We serve freshly ground premium coffee by Segafredo and have an excellent choice of refreshing teas. After a delicious meal, why not complete the experience with a liqueur coffee? In addition to our evening opening we are also open at lunchtime from 11am -2pm on Thursdays, Fridays and Saturdays. 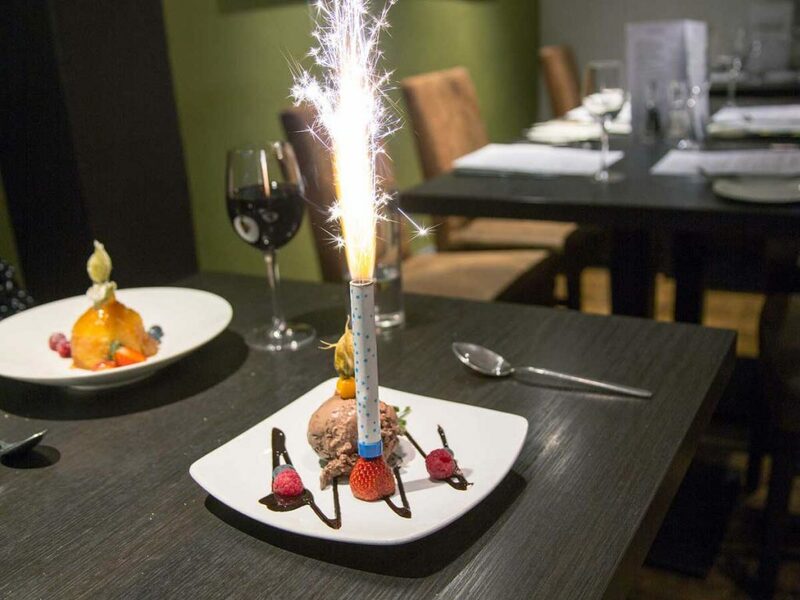 No matter what the occasion, everyone should feel comfortable in our Restaurant. 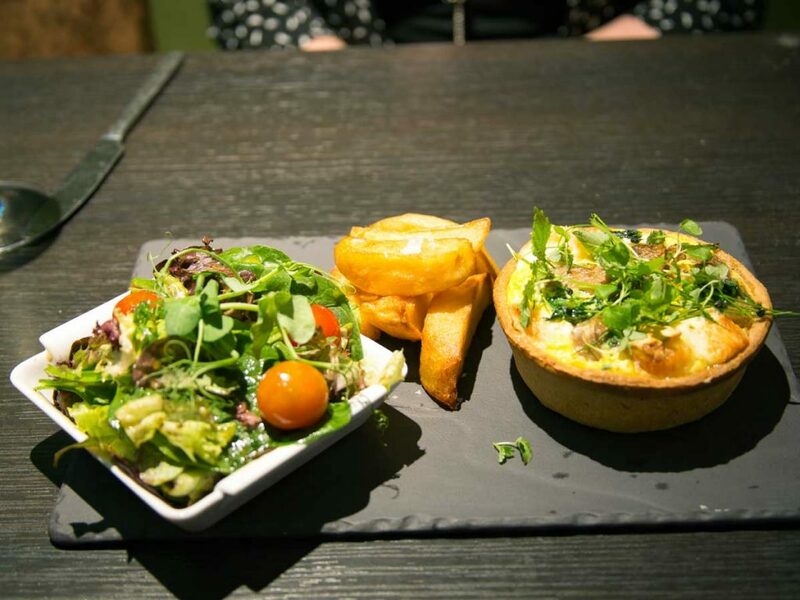 The menu offers a selection of vegetarian and gluten-free dishes and given adequate notice, we can also cater for people with nut allergies or particular dietary requirements. We would ask that you inform us of any dietary needs at the time of booking and every effort will be made to accommodate you or your group.